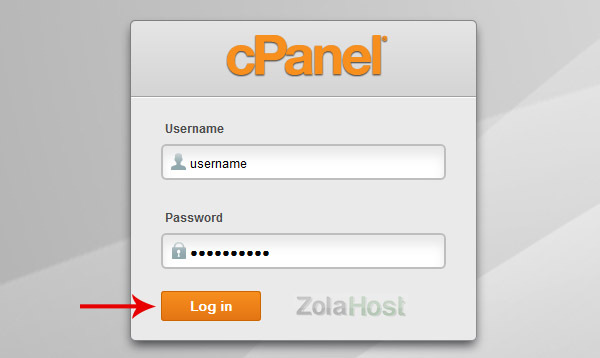 How To Create A FTP Account In cPanel? FTP is the file transfer protocol using for upload files from your local PC to web server. If you have designed your website offline and stored that files in your PC, you can upload that designed files into your website via FTP. 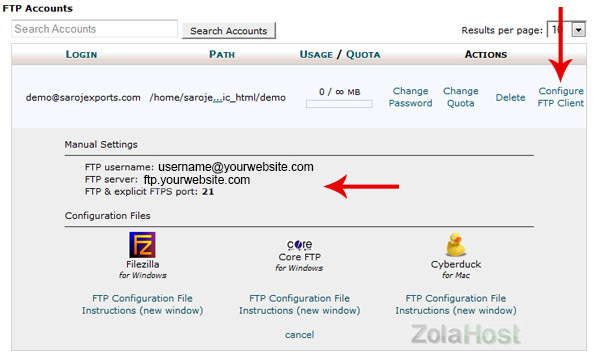 Follow this tutorial for “how to create a FTP account” and “how to upload your website via FTP”. 3 Enter “Username” and “Password”. In “Directory” field folder name automatically created with your username like “Public_html/username”. If you want to create a FTP account for main website delete the username and continue with “Public_html” only. 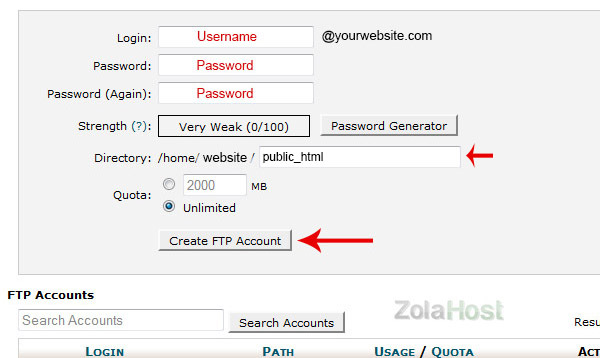 Click “Create FTP Account” to create your FTP account. 4 Your new FTP account detail will appear in “FTP Accounts” after created the FTP account. 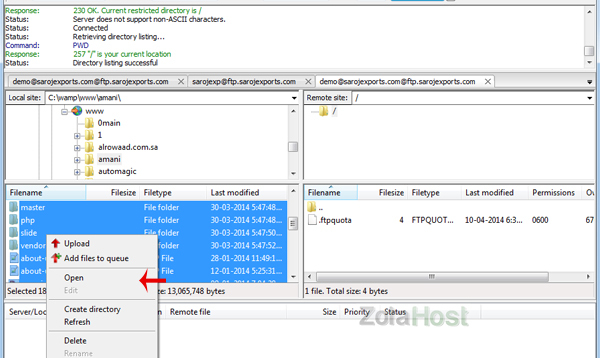 Click “Configure FTP Client” to view the Username, Server and Port information for connecting FTP through FTP Client Applications. Click “Change Password” to change your password at anytime. 6 Install & Run the FileZilla software. 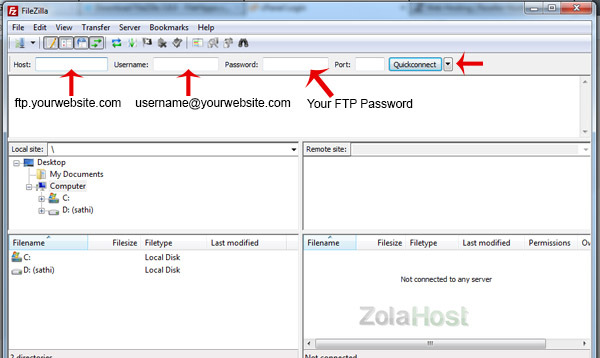 Enter Host Name (FTP Server), Username and Password. Click “Quickconnect” to connect FileZilla with your webdisk. 7 Start uploading the designed files from your Local PC to Webdisk after the Status shows “Directory Listing Successful”. Select the files you want to upload. Right Click. Then click “Upload” to start uploading. 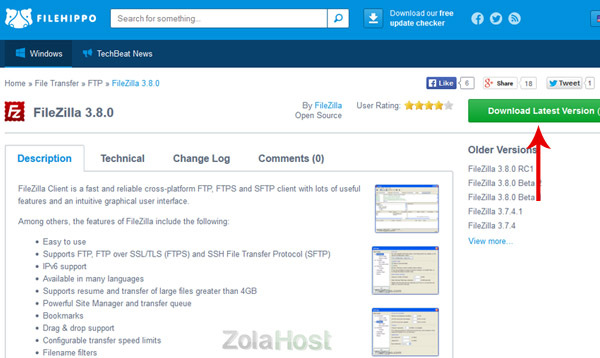 FileZilla will upload your files one by one to your webdisk.